It's pretty hard to believe now, but in a previous life before I was up to my eyeballs in baby bottles and Teletubbies re-runs I suppose it is pretty accurate to say that I was a bit of a party animal. I loved nothing more than getting dressed up to the nines in my favourite outfit, putting on my boogie shoes and hitting the dance floor. With those days long behind me, it is now with excited anticipation I await the chance to get my glam on again. So when Simply Be reached out to me and asked if I wanted to work with them, including the chance to pick out a party piece of my choosing, I didn't hesitate. 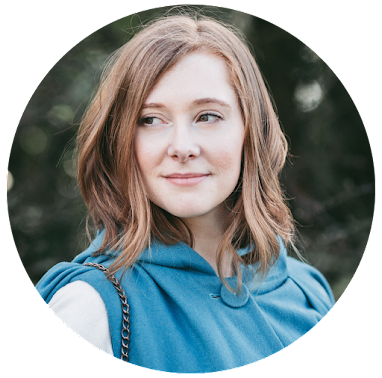 With festive gatherings, seasonal parties and a big family wedding on the horizon, my wardrobe was crying for an update! I've made no attempt to hide the fact that now I am a mum I have no idea what I feel comfortable wearing anymore. With functionality taking priority over fashion on a daily basis, and a brand new set of sensational curves, I often end up feeling pretty lost. But with the beautiful range of dresses Simply Be has on offer, I actually found myself cracking an inward smile. There was so much choice! After a long (and I mean long) peruse of all the dresses, I finally decided on this little black dress from AX Paris Curve. With a wrap neckline, a waist belt, asymmetrical hem and glittery print, this blended my need for a mummy-friendly style with detailing that made me feel (and look) like a glamour puss. Never really one for lots of colour, I stayed true to my style and used this dress as the focal point of my outfit. With the shimmer making such a statement, I paired it with a block-colour maxi coat from Boohoo in a muted mauve shade. 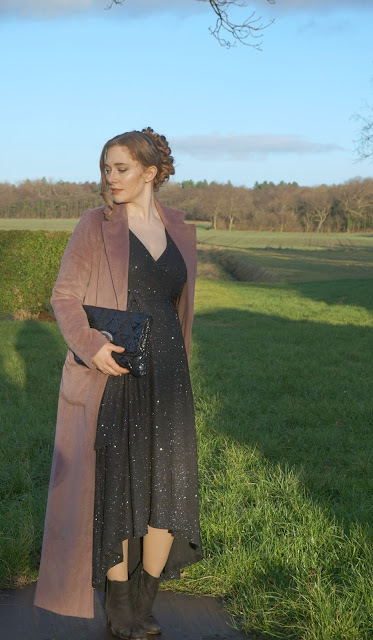 I was wearing the dress to a winter wedding so wanted to opt for shades that were in keeping with the natural colours of the season and soft complementary fabrics that would subtly underplay the sparkles of the dress for the church ceremony. My trusty black ankle boots and old faithful faux snakeskin clutch completed the outfit seamlessly, and I loved how both effortless and elegant the finished look made me feel. Looking back at the photos from that day I can barely believe this is me. After struggling for so long to reclaim my style and embrace this new phase of fashion, I feel like I've found myself again. A little black dress with bucket loads of sass, it's going to be perfect for winter parties, seasonal soirees or catch-ups over cocktails with the girls. For a less formal look I'd let my hair flow loose and add a bowler hat and a vampy lip. And to go for all-out glam some winged eyeliner and a set of statement bangles would have to make an appearance. There are some seriously beautiful dresses on Simply Be at the moment. Versatile, varied and all of them stunning, there is something for everyone and every occasion. Got a special event coming up? I think you should head on over and check them out! *I was very kindly gifted this dress by Simply Be in return for writing this post. This does not affect my opinions. They are always 100% honest and influenced by my own personal experiences. For more details please see my disclaimer. Any other products marked with a * were also been gifted to me on previous occasions/collaborations.